It’s almost impossible to turn on the television or radio these days and not hear about Tesla and their electric vehicles or what I like to refer to as “the disposable car”. 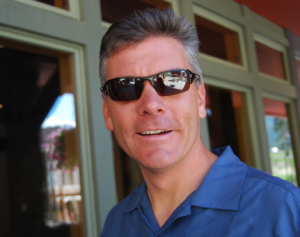 I have had so many debates with people about Tesla and my take on the electric car market that I figured I should write an article about why I feel the way that I do about the electric car market. Of course, people who like Tesla and electric vehicles are like people who were in love with Apple years ago. They had so much emotional passion that they refused to have any common sense that you could do the same thing with a Windows based machine that you could do with an Apple. It’s a similar “cult” following when it comes to Tesla. First of all, it’s not just Tesla that makes electric cars. They are just the media darling and what people are most familiar with when it comes to electric vehicles. 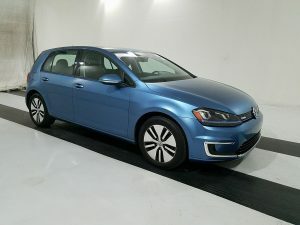 Here’s a picture of a 2015 VW E-Golf that is going for sale at auction that I pulled off the dealer auction website. The majority of people probably have no idea this car even exists or that it’s a fraction of the cost of a Tesla. It has a range of about 83 miles, so you can’t get very far on a battery charge with the VW, but other major brands have electric cars, including BMW, Nissan, Mitsubishi, Mercedes-Benz, Chevrolet, Toyota, FIAT and others. 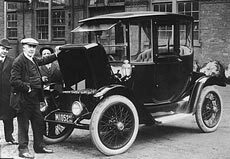 There are plenty of options when it comes to getting an electric car, but the reason why I call them “disposable” is the same reason that Henry Ford created the Model T and won the automotive industry back in 1908. That’s 110 years ago by the way and you can go to just about any car show or parade in the United States and see a Model T that is still running down the road. It’s been “recycled” and is not disposable because it runs on gasoline and not electricity. Contrast that with the photo of this electric car pictured with Thomas Edison that you can read about at the PBS website, Timeline: History of the Electric Car. Electric cars are super cool when they are new and shiny and the batteries are working great, but what happens when they get older and the batteries are not charging any longer? I know that people love to get lost in the ether of their imagination on what car companies will do for them down the road, but let me bring some reality to the situation. Car manufacturers are in the business of selling and leasing new cars. They are not in the business of creating batteries for your ten year old electric vehicle as much as you want them to be it’s not going to happen. If you go to the support page of Tesla click here and see how much a replacement set of batteries are for any of their vehicles. At the time of this post, there wasn’t a link saying, “Battery Replacement” on their site. If you do a search online you will get all kinds of information from $12,000 to $28,000 to $40,000 to replace the batteries down the road. 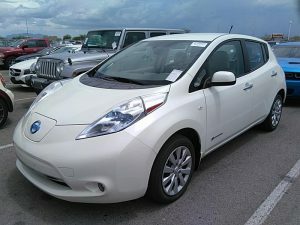 Which is why if you’re going to get an EV you should lease it for sure because you don’t want to be the proud owner of one of these where the batteries are depleting continually. It’s also why I call them a “disposable car”. Let’s just look at the Tesla Roadster for example that came out in 2008, so ten years ago now. It’s hard to believe it was that long ago, so Tesla has done extremely well lasting for a decade now as an electric car company. However, eventually the batteries wear out and just like an iPhone or iPad you have to either update the batteries or sell the car for parts. It’s inevitable. It’s not like a 1908 Model T that you can get parts for and put gas in and head down the road. The Electric Vehicle business model came right out of Silicon Valley. You know, the guys who tell you that your first iPhone doesn’t work anymore or your iPhone 5c for that matter no longer accepts the latest software update, so you need an iPhone X. That business model is the exact same as the EV business model. What’s your 10 year old computer worth? 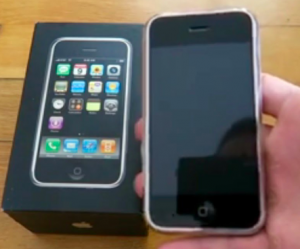 How about your 10 year old iPhone? The answer is not much or nothing at all. They are disposable products. In the meantime, you could buy a 1958 Porsche 550A Spyder for a cool $4.5 to $5 million at Gooding and Company or the Mecum or Barrett Jackson auction since they only built 39 of them and it will actually run with a tank of gas and some spark plugs. That’s not going to happen with a Tesla or any other electric vehicle ever. They are destined for the scrap heap because they are disposable cars, just like your disposable mobile phone and computer. Which is why I’m not a fan of electric vehicles, like so many others in this industry seem to be. 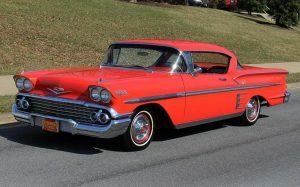 I like the fact that you can buy like a sweet 1958 Chevy Impala for example and drive it down the road on a tank of gas without hoping that some company from 60 years ago is still around to offer a battery upgrade to make the car actually work. I like vehicles that you can recycle and that are not expensive disposable products. 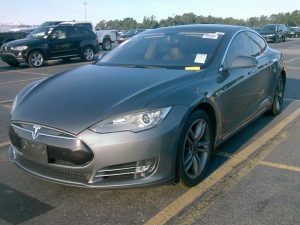 The sucker who buys that 2008 Tesla Roadster for the last time before the batteries die is like the same guy at the bottom of a pyramid scheme. Eventually, he’s going to lose all of his money and have a nice lawn ornament or they will put it at the entrance to a junk yard as a novelty item from years gone by.